On this day in 1918, the U. S. Postal Service issued its first airmail stamp. The price was 24 cents, equal to more than four dollars in today’s money. Two days later, the first scheduled U.S. airmail flight took off. During those early years, flying airmail was considered the most dangerous job in the U. S., and for good reason: 31 of the first 40 pilots hired died in crashes. The de Havilland DH-4 became known as the “flaming coffin” because of its tendency to explode and burn on crash landings, which were not rare occurrences. 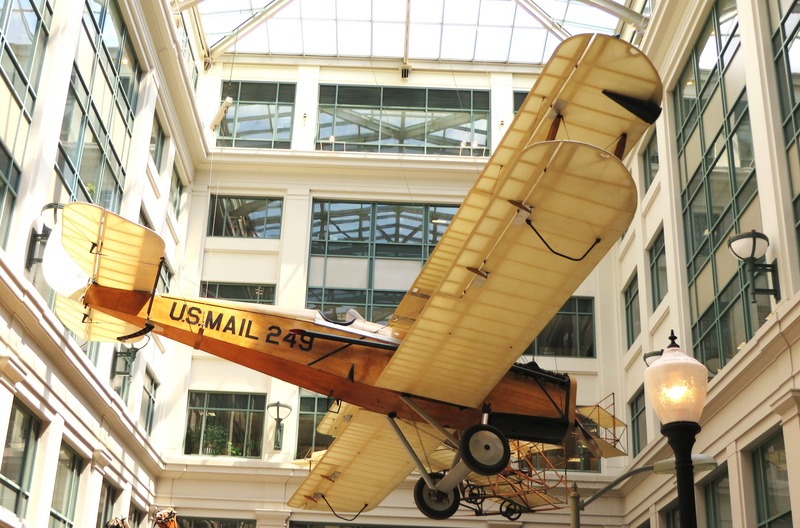 Within a year, the planes were reconfigured to lessen the risks, but eventually the Post Office would contract the rapidly-growing passenger airlines and other private sector companies to carry the mail. It was during his years as an airmail pilot that Charles Lindbergh became interested in winning the $25,000 Orteig Prize, to be awarded to the first aviator to fly non-stop from Paris to New York. The rest, as they say, is history, more well-known to most of us than the crucial early experience Lindbergh and other pilots gained flying risky airmail routes. But it’s likely that the courage, skill and expertise Lindbergh developed during his relatively brief time flying the mail were pivotal in his successful transatlantic flight. It’s easy to get irritated at slow-moving lines at the Post Office, rate increases and delayed mail. But reading a bit of history puts it all in perspective. For only 49 cents we can mail a letter anywhere in the United States, even Alaska or Hawaii, and expect it to arrive at its destination within a week, with very little chance of any loss of life en route. Quite a bargain, all things considered. Raynard, of all the stuff I have a hard time throwing away, cards and letters are the hardest. They carry so many memories and fragments of shared thoughts in relationships. I hope you do get back to DC; there is so much to visit here and almost all of it is “free” (paid for by the taxpayers, but no admission costs). I can’t believe how little time we’ve spent actually enjoying DC in the four years we have been here. I hope we get the chance to do a little sightseeing while we are still here. Raynard, keeping you and your wife in prayer as you deal with family issues. I admire your wife in trying to help her aunt and uncle. 🙂 The occasional lost package notwithstanding, I think we are pretty lucky. Just a little fun information. I taught at The Elisabeth Morrow School, founded by Charles Lindbergh’s sister-in-law, Elisabeth. Lindbergh was married to Anne Morrow, Elisabeth’s sister in the house which is now the school. Lots of history there. WOW, this is so interesting to learn! I am familiar with Elisabeth and the Morrow School, having read many of Anne’s journals and other biographical information. As I’m sure you know, Elisabeth died young of a heart defect, and I recently learned (to my great surprise) that because of her, Charles Lindbergh was one of the first people to propose and design a prototype for the heart-lung bypass machine, working alongside a Nobel-prize-winning physician he enlisted to help him. Though his design never “got off the ground” (no pun intended) it was the forerunner of later successful attempts — without which, of course, our son would not be with us these 28 years. Lots of history indeed! I agree, the technological advances of the twentieth century have made it easy to send letters or parcels by airmail. And now at the start of the twenty-first century, the smartphone has made it possible to send instant messages across the globe. What new methods will we be using to communicate with in the future? Dan, I honestly believe we will, in the not-too-distant future, have virtual 3-D holograph-style “meetings” which bring people together in blank-walled rooms on which a variety of setting can be projected. Some may laugh at that idea, but the technology to do it probably is already in place; it’s a matter of making it affordable. It sounds more possible to me than our gadgets would have sounded to my grandmother when she was a child! But I hope the old-fashioned handwritten letter never completely disappears. Thanks for being here today! You’re welcome Julia! Sounds a bit like the holodeck in Star Trek: The Next Generation. Just in case you’re not a Star Trek fan, the holodeck is a room where you can interact with intelligent computer characters together. My older brothers and I used to often dream it about back in the 90s. I never watched Next Generation, but I like the idea of a holodeck – except with real people 😀 preferably people such as the ones who blog. I’ll try to do my part to keep the mail deliveries filled with something besides bills and advertisements! World is becoming faster and less patient. I was thinking of how irritated I become when a chat becomes slow – it may be just a few sec/min’s delay but we can’t wait. We have become so incredibly, ridiculously busy. Tributes to those adventurous people and inventors who made it possible (and pampered and spoiled us too) for us! Posts like this are really informative. Thank you, Julia! You’re welcome, Bindu! It really does help my impatience when I read a bit about history. There is almost not a single minute of my waking life that is not affected by tremendous advantages conferred by technology and progress. What’s interesting to me is how persistent such emotions as frustration, anger, sadness, and self-pity are, among pretty much everyone, no matter how “good” things get. Our expectations seem to rise with each new blessing, staying just a step ahead of where we are. Now and then it’s good to look back and feel thankful! I appreciate your visits here! The list would almost be endless. Teflon IV catheters, arterial catheter monitoring systems, pacemakers, defibrillators,anesthesia machines, flexible endotracheal tubes, oxygen saturation monitors 3 lead, 4 lead, 5 lead, 12 lead electrocardiogram machines with smart technology, One thing that has changed is now everything is disposable and sterile for one time use. The most amazing thing that is through all this and so much more we are blessed to have Matt and Jeff both here with us. Larry, I agree! Even when things were most frustrating at the hospital, I hope I never lost sight of how lucky we were to be there at all. With great blessings come great responsibilities, and often, great sorrows too – but that doesn’t take away from the grace. Julia, good evening. Technology is a mixed blessing. I’m still working on Skype…now there is facetime…just think how far we’ve come since the first printed book! Glad Jeff received good news yesterday, hope he can keep up his exercises for his lungs. I need this quote today. I will say more later. There is also something called “Hangout”-which is on a smart phone and kind of like a real time Skype or something. I don’t have a smart phone yet so have not tried that out. The thing with the drones is a little scary and can’t imagine what it would be like to move into a building and see a drone camera staring at you out the tenth floor window. A true story from London. That is a little Orwellian. Michael, I hope the quote helped. Raynard was telling me about Google Hangout some time ago here in the comments. Some of the attendees in our little blogger tea party group mentioned using it also. I downloaded it but have not had time to learn to use it. I get the creeps when I think of drone surveillance and try not to think about how many ways we already are being followed digitally (hello out there all you nefarious spies lurking in cyberspace) but unfortunately it’s been going on for some time, what with ATM cameras and credit card trails and phone records. At least now it’s becoming more obvious. A word to the wise! Did I tell you I read” Hour of gold- hour of Lead” by AM?L- something like that. Wonderful memoir. I wonder how much she rewrote or reedited. To be able to just put something like that down- amazing. The pictures of her with baby Charles are just heartbreaking. This was during the time she was getting ready for the big Orient adventure and I think she also wrote a book about that. Michael, I haven’t read that but I want to. I have no doubt it will be excellent, as are all her writings. Her voice has always resonated with me no matter how unknown the subjects she is describing. The book you are referring to is North to the Orient. I have a vintage hardcover copy that I got nearly 30 years ago from a library discard sale, but I’ve only read bits and pieces of it as I’m browsing my books and just skimming through various titles, a pastime I really enjoy. I like what I have read of it, though. AML wrote about pretty much her entire life, though the journals were published sequentially over a long period of time. I’m sure she edited as much as the average author, but the sheer number of hours she spent writing is probably the reason for her lucid and captivating voice. As with anything else, one gets better with practice. Yes that is the book, ” North to the Orient.” A brilliant mind indeed. So is it like the 10,000 hours thing that Gladwell talks about? You put in enough time- and the skills come. Definitely a captivating voice and she makes it look easy- as the great ones do. Michael, I’d say it’s a combination of the 10,000 hours, along with being naturally brilliant, linguistically gifted, and having the financial freedom to develop that gift. AML’s mother was president of Smith College at one time, and her father was a U.S. ambassador and Senator. Moreover, as a younger daughter who was not the sibling who got the most attention or adulation, recognition did not come as easily to her – something that is an advantage, though it may not seem so on the surface. It gave her the time and space to develop her writing and the underlying intellectual acuity that fed it. Much has been written about how Lindbergh was expected to go for Anne’s older sister, deemed by many to be more attractive. But clearly he saw beyond the surface of things. Speaking of books, we are thinking about downsizing as we anticipate the next move. Going through the shelves of books – I have to be strong. The library has a used book sale coming up. We also have a “Half Price Books” store which will buy books. Do you have those on the East side? Michael, we had Half Price Books in San Antonio and I loved it! But now I do all my book swapping through the paperback swap (which is for all sorts of media, not just paperbacks – CDs, DVDs, Hardcovers, Audiobooks, etc.) It is easier for me to part with a book if I know I’m sending it to someone who specifically requested it. If you want to check them out, you can click on the widget I have on the right side of the blog page (just scroll down to where it says “a site I love”). Giving to the library is a good idea too. Ours give a receipt for tax purposes, and you can take a deduction for most library donations, based on the price they sell the books for. I find that doing these little things makes it a bit easier to part with my books; it feels less random and more purposeful, more like a win-win. Having said that, I probably will never be without a huge number of books. I just try to keep the number from getting too insane. Your comment about all the medical advances reminded me of something I heard about measles the other day. Back in the 50’s, there were many -many deaths from measles in the U.S. every year. Nonetheless, the battle continues with the advent of new viruses out there- like MERS. Something is trying to kill, us and it almost makes me believe in Satan at times. But still we have come a long way and I do believe we are on the brink of some major advances in the war against cancer, some of which are happening right here in Seattle at the Fred Hutchinson Cancer center. Your comments on ALM reminded me for some reason of a Credence Clearwater Song. “It ain’t me Lord, I ain’t no senators son.” So she was born with a little silver spoon in her mouth. And yet she seems so gracious, elegant and egalitarian and not at all snobbish in any way. Very classy lady. In her book she has some profound thoughts on grief and loss, and how there are no quick, easy and tight little compact answers. C.S. Lewis says something similar after he wrote his little treatise, “The Problem of Pain.” Then he actually lost someone close to him- Joy his American wife and this changed his outlook immensely.Then he wrote “A grief observed.” Something so intimate that he did not even want to have it published till after his death. Lewis later called his first book “Problem of Pain”- a nasty little book. Michael, it does seem to me that diseases evolve and grow as rapidly as our ability to fight or eliminate them. BTW I do believe in Satan, though not as the pitchfork-carrying red devil portrayed in cartoons. And I think it’s a mistake to think of Satan as a sort of opposite to God. But I do think that evil is more intentional and less random than we are comfortable believing it is, and if there is celestial warfare, there are bound to be leaders on either side. Someone once asked me if I believed in demons, and the only way I knew to answer them was simply, “How could I not?” But again, I don’t believe in the kind of demons as portrayed in The Exorcist and such. I think they are far more subtle and less terrifying…and therefore, far more effective at working havoc on mankind. Which reminds me — did you ever read People of the Lie by M. Scott Peck? I found it hard to accept a lot of his assertions, but it was very intriguing that the same man who wrote The Road Less Taken could pen such a different type of book. I think he took a lot of people by surprise with that, particularly with his reluctant belief in literal demons. Wow, I find it hard to believe C. S. Lewis would call The Problem of Pain a nasty little book. As much as I’ve read about/by him, I never heard that remark referred to. Do you know where he said that? I did a quick search but could find no references to it. I think it’s a very reasonable book, quite well done, nothing nasty about it at all in my estimation. I especially like his discussion of animal suffering and the implications of it as related to our (finite) concepts of God. Though Lewis lived many years before he suffered the grief of losing a spouse, he was well acquainted with sorrow and tragedy. Losing his own mother at a very early age, living for most of his life with dearly-loved but unquestionably difficult people, to say nothing of living through the horrors of trench warfare in World War I (and losing friends there), I think he really did know whereof he spoke when he dared to write of pain. As with AML, I found the deepest connection to Lewis when I started reading his personal journals and letters, going all the way back to his childhood – though all his writing has a conversational tone that I find quite engaging. Like AML, he never talks down to the reader despite being far more brilliant than most of us who read their works. He is pretty amazing. I will have to check out a journal or two. Comment was from Oxford professor and is in a little book by Don Nichols-“Holiness”. It is in the chapter on suffering. One of my favorite books on spirituality. Thanks Michael, I will look for that book. I read the reviews on Amazon and it sounds interesting. I did read that book of Scot Peck=”People of the lie” and did find some parts kind of incredulous- or I was incredulous about the cases of demon possession. I think I am an agnostic about Satan. If real-I don’t think he has any real power here or anywhere else and he is really kind of boring. But the idea of evil having an actual personality is kind of a stretch, but on the other hand, I have met and witnessed some very evil persons in my life. Yesterday I received an advance copy of the July-August Upper Room, which contains my little meditation. Kind of a thrill. I think I will frame the check. I have to refer you to a video series my Michael Card – “Called lament as worship.” It is a series of 6 only 9 minutes long each. I think he has some profound insights on suffering, lament and worship. He also wrote the song, “Shaddai.” It is on U tube. Currently Psalm 13 is one of my favorites. Michael, I too was incredulous about the demon possession bits – as I mentioned, what I think of as demons are far more subtle, and probably would be labeled by most people as “anxieties” or “obsessions.” The brother of Jesus said “resist the devil and he will flee from you” (James 4:7) so maybe the fact that you think of the devil as nonexistent, powerless or boring means he has fled from you. 😀 In any case, I realize it’s somewhat out of style (even among Christians) to believe in evil personified, but when I read the words of Jesus in John 8:42-47, I don’t sense that he was speaking metaphorically, especially since his words made people so angry that they literally tried to kill him after he said what he said. Ditto for Paul, in 2 Corinthians 11: 14-15. In any case, if there were a devil and I were he, I would think having people disbelieve in me would be one of my most effective weapons. Of course, in all such celestial questions, applying human logic to a decidedly non-human realm is probably as far-fetched as when we apply human logic to the behaviors of animals. So in the end it may be chiefly a question of semantics. Evil is real, regardless of how we think of its sources and consequences. Thanks for giving me a heads-up about your UR message – what date will it be? I’ll have to post a link to it here. I don’t get the print edition but I might be able to pick up a copy if I’m in a UMC building before then. Matt sometimes goes to activities for people with disabilities that are held at UMC locations, although not as often as in the past. Why not frame a scanned color copy of the check so you can cash it and enjoy the proceeds? 😀 I think my first paid check for writing was sometime in 1986 but I still have the check stub somewhere. Congratulations! Keep sending manuscripts to them if you have the inclination to write them – I think they probably still need more male writers, as one of the editors told me a couple of years ago. 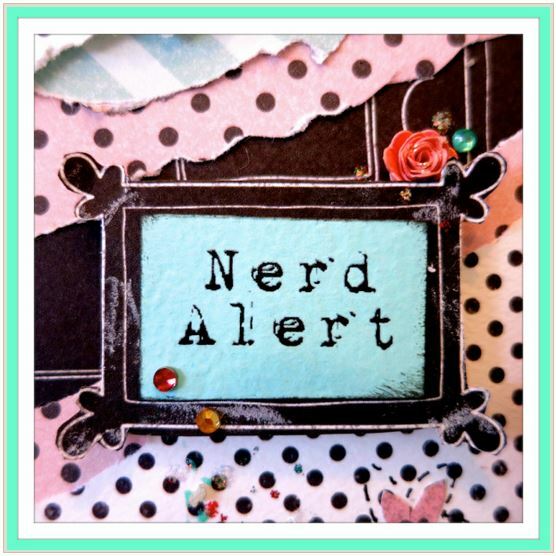 Thanks for the tip on the video series – I will look for it! Just watched the Michael Card video at this link – it was great! I will look forward to watching more of them. Watching it, I thought of how Isaiah 53 always was beautiful to me in a poetic sense, but I never understood it as fully as I do now, after watching Matt’s life for almost 29 years. The Don Nichol book was a life changer for me. I will definitely have to request it through my paperback club. Sometimes it takes awhile to get a book that way, but at least I don’t forget about it. I can’t imagine what it is like to watch your grown child suffer. We had some trauma when my oldest had his tonsils out. He was eight or nine. He fought the anesthetist off and I had to bribe him with toys. But nothing at all in comparison. This recent surgery was one of the hardest of any in all Matt’s 28 years. The night he came from the CICU, they were busy with emergencies and therefore late getting his pain meds to him and he was in torment and frightened. He would cry out “help me” and then interspersed with his cries for help he would apologize to me and the nurses for not being able to calm himself. It was truly heartbreaking. Almost as bad as when he was an infant, not even a year old, and strapped down to his bed post-op (hands and feet restrained to keep him still) and tubes coming out various places including a tube down his throat so that he could not even make sounds though he was clearly crying – and he looked at me as if to ask “why aren’t you helping me?” and his heart rhythms were going wild and the CICU nurses told me to get out of his line of sight so he maybe would calm down faster. That was a nightmare I will never forget. Sounds like a nightmare. And I imagine it does not get any easier through the years. My little devo is coming out July 9th-a Wednesday I think. I have an idea for another one. I think Michael Card has put his finger on something. We really don’t like to talk about suffering much in a success only culture. Michael, that’s definitely true – we don’t like to talk about anything difficult. While I like to be positive on this blog, I don’t want to be delusional or try to cover up the pain and suffering that is part of every life. I have learned through living with Matt and being part of the larger disability community, is that many people want nothing whatsoever to do with anything that makes them feel uncomfortable, sad, guilty, conflicted or vulnerable. That’s a problem that manifests in different ways, not just in avoidance of certain people; I think it’s why some drink and abuse drugs – to hide from reality that scares, annoys or saddens them. But ironically we can only change reality — to whatever degree we can, and sometimes that’s not much — if we first face it head on. I’m more amazed at the American Postal service than the Canadian service. To mail a letter in Canada, it’s .85 each stamp (when I buy a booklet of 10). If I want just a single stamp, I would pay $1.00. I guess there’s far more Americans to support the service and there are great voids of undeveloped land in Canada that make it expensive. What I pay for postage has to include Canada Post being able to operate service in isolated northern communities too. It would be entirely cost prohibitive if northerners had to truly pay what it cost to provide them service. I don’t mind paying for good service. The postal outlets here are mostly contracted out. They’d be employees of say, the pharmacy, and not really Canada Post employees. So the service varies from place to place. Sometimes they’re friendly and helpful, sometimes not. I use an actual Canada Post outlet and they’re pretty nice. Snail Mail is still fun to receive and send though. I think of it as cheap entertainment really. Boomdee, I totally agree that money spent on postage is a bargain for the happiness it can bring. It really is like a hobby to those of us who enjoy sending fun stuff through the mail. Having said that, though, I am always a bit shocked by how much it costs to send packages outside the USA. I can see where mail delivery in Canada or any large geographic area would be a real challenge, though, and I am glad we have the service available. It’s another one of those things we tend to complain about, that is really quite a privilege when we stop to think of it.